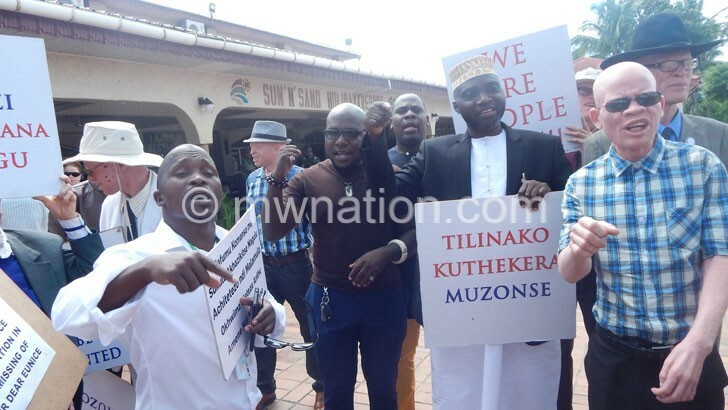 Association of People with Albinism (Apam) has said it is going ahead with its planned vigil at State House to force authorities to look into their security demands. But Minister of Homeland Security Nicholas Dausi has discouraged the association from holding the vigil, saying it will not yield anything and that it will “only complicate matters”. Apam president Overtone Kondowe in an interview yesterday said the association is tired of government’s insignificant efforts in fighting attacks on people with albinism, adding it is high time government addressed their security concerns. He said the association will hold the vigil at State House on March 3 2019. Kondowe said people with albinism want to feel secure in the country, therefore, government should ensure that those behind the attacks on people with albinism are heavily punished. Apam, said it has noted that there are several cases that have not been concluded. He said though the National Action Plan, which government instituted in June last year, puts in place a framework of actions and measures, it is meaningless without visible political will. “As a people, as a nation, we should be ashamed. We should each take a moment to examine ourselves and critically search our souls if the status quo is really acceptable to us all and if indeed it is something we can continue to cast a momentary glance at and ignore,” charged Kondowe. 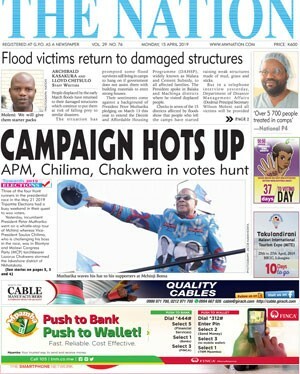 The association has also urged Malawians to vote wisely in the coming elections to make a difference, saying the polls present an opportunity for the people to make the country a better place for everyone. Kondowe said if the vigils do not yield results, Apam will demand that Malawi be declared an unsafe zone and they will seek help so that people with albinism seek asylum in other countries. But reacting to the call, Dausi in an interview yesterday discouraged Apam from holding a vigil, saying they will not yield anything and that the association is being misguided on the proposed vigils. The minister said government is committed to fighting attacks on people with albinism and it is unfair to say it is paying lip service to the issue. Dausi said what complicates the matter is that some of the victims are betrayed by their own families or relations. Yasin Phiri, a man with albinism, was murdered in his house in Nkhata Bay on New Year’s Eve, and three weeks later, an 18-month-old baby Eunice Nkhonjera was abducted in the night in Karonga.